The AFPA Weight Management Consultant Certification program provides cutting-edge behavior change methods and evidence-based nutrition protocols for your clients' success! This program will provide you with the education you need to guide your clients to achieve their short-term weight loss goals through behavior modification, and provides you with the skills necessary to help them achieve long-term weight management. The AFPA Weight Management Specialist Certification course provides a holistic approach to weight and health management. Your clients want to lose weight. They come to you for help. With the knowledge you gain from the Weight Management Specialist Certification course, you can demonstrate to your clients that you have the knowledge to develop sound, balanced weight management programs that will help them achieve long-term weight management success through nutrition, exercise and lifestyle change. You will design programs that meet each client’s unique needs by recognizing what motivates them, by determining the best way to help them safely achieve their goal and by identifying how to effectively communicate your advice. Self-paced, self-study, test when you are ready! After successful completion, you will earn the title of “Certified Weight Management Specialist” on your certificate. Completion of Nutrition & Wellness Consultant Certification (NWC) or Holistic Nutritionist Certification (HNC) is required prior to completing this course. Weight management is the #1 reason that people join a gym or hire a personal trainer. The overweight and obesity problem in the Western world is growing at epidemic rates, including in children and teenagers. People are willing to pay for the services of a certified weight management professional. We recommend enrolling clients in a 12-week, fee-based counseling service. Fees may range from $500 to $999 for the 12-week program. Follow-up counseling for a fee is also highly recommended. Earn back the cost of the certification by your very first client! FREE Manual "Legal Guidelines for Unlicensed Practitioners"
AFPA Nutrition & Wellness Consultant, Weight Management Consultant, and Holistic Nutrition curricula fully meet the American Naturopathic Medical Accreditation Board’s (ANMAB) educational requirements. 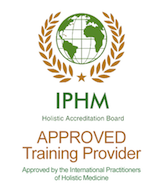 Graduates of AFPA are eligible to apply to be a Board Certified Holistic Health Care Practitioners, Board Certified Nutritional Consultant or Board Certified Holistic Nutritionist through the American Naturopathic Medical Certification Board (ANMCB). AFPA has been granted full board accreditation by the American Association of Drugless Practitioners. Graduates of AFPA with nutrition credentials are eligible to apply to be board certified holistic health care practitioners through the AADP. AFPA graduates qualify for Board Certification through the American Association of Drugless Practitioners (AADP). You may contact the AADP at 1-888-764-AADP. Identify and interpret the causes of obesity in America. Illustrate the harmful effects of being overweight and obese. Assist clients in finding their optimal weight to enhance their quality of life. Recognize how athletes are prone to eating disorders, such as anorexia, bulimia and excessive dietary practices. Examine psychological link that exists between individuals and eating disorders. Explain the physiological effects of eating disorders on the human body and how they can be addressed by fitness and wellness professionals. Construct a safe, effective and reasonable weight management program that encourages healthy eating and sensible exercise. Comprehensive textbooks, video lessons, online resources and certification exam. Submit exam by mail or email. Passing the certification exam with 85% or higher. There are 70 exam questions and a case study. You may submit your exam by mail or electronically. If you do not pass, there is a $75.00 retest fee.